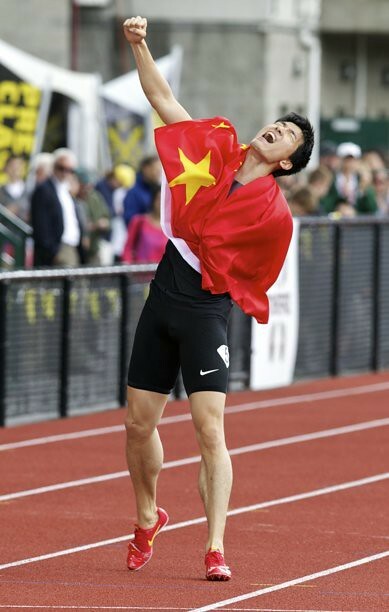 Even if I’m gutted to see Liu Xiang 刘翔crash out of yet another Olympics, it is time to make my customary post-Championships analysis of the athletics’ best event (my biased opinion!). What struck me the most were the numerous DNF’s and DQ’s. Being an athlete and a sprint hurdler myself, I know for a fact that getting those acronyms written after one’s name is far from a pleasant experience. Even more so in the case of these Olympians, who had trained for many years for this one shot at World’s Greatest Show. 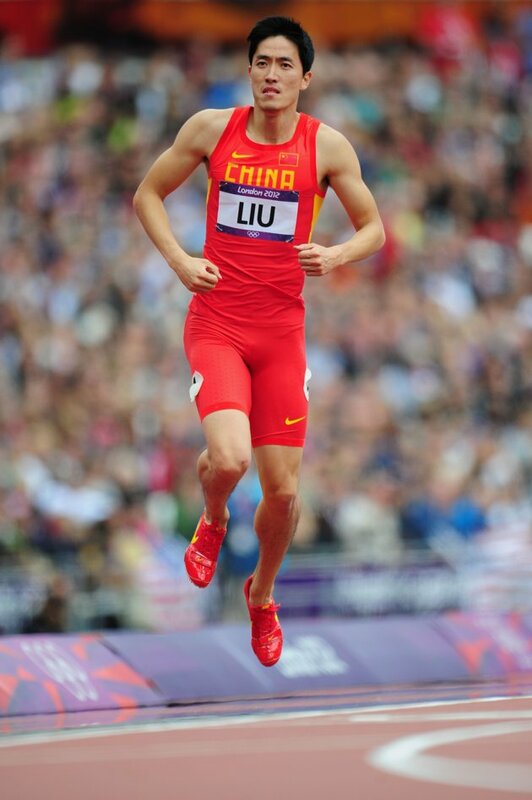 Four athletes failed to finish in Liu’s qualifying heat. In addition to Liu, Shane Brathwaite and Artur Noga did not make it past the initial flights of hurdles. Senegal’s Moussa Dembele was unable to finish, as he faltered midway into the race. In the other heats, four more hurdlers made early exits from Olympic contention, including British hope Andrew ‘The Demolition Man” Pozzi. Pozzi had recently run 13.34s in Crystal Palace, bolstering his chances of making the Olympic final. Save for the Liu, the rest of the pre-Olympics favorites (Aries Merritt and Jason Richardon, in particular) all made it through to the next round. Merritt topped the heats with a qualifying time of 13.07s. Sergey Shubenkov (13.26s), Jason Richardson (13.33s), Orlando Ortega (13.26s), Dayron Robles (13.33s), and Andy Turner (13.42s) all won their respective qualifying heats. The American duo of Merritt and Richardson was unchallenged in the semifinal round, as they took the outright finals tickets with relative ease. Richardson stopped the clock at 13.13s in the first semifinal, while Merritt was one-hundredths of second away from clocking yet another 12.93s. 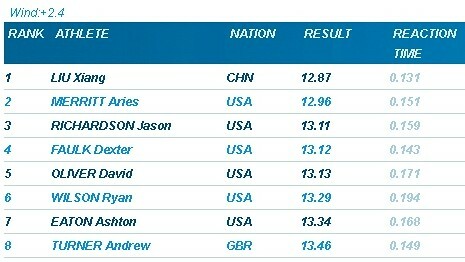 The defending Olympic Champion, Dayron Robles, shrugged off initial injury fears with a classy 13.10s. Ryan Braithwaite, Ortega, and Hansle Parchment were the other automatic qualifiers. Briton Lawrence Clarke and South African Lehan Fourie surprisingly made it to the magic eight, as more fancied prospects like European Champion Sergey Shubenkov and Garfield Darien fell by the wayside. Prior to London, I picked the young Shubenkov as an outside contender for a podium spot, in light of his impressive string of races. True enough, he looked well at ease in the heats. However, he stumbled in the semis and was unable to progress to the next round. The only surprise in the final was Robles’ unfortunate injury. In my opinion, the World Record holder could have won at least a bronze medal, had his legs held through. Robles, Richardson, and Merritt – all seven-step starters – were running practically abreast until the fourth flight of hurdles, when the Cuban pulled up with an injured hamstring. Merritt began to gradually pad his lead over Richarson and the rest of the field in a sterling display of fluid hurdling and jaw-dropping speed in between the barriers. As expected, Merritt and Richarson won gold and silver. 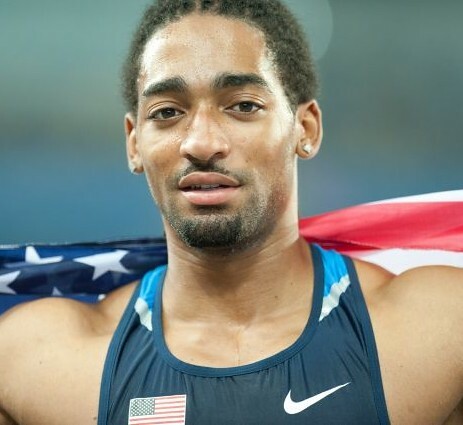 Merritt seemed to have escaped the clutches of yet another 12.93s clocking, as he registered a winning time of 12.92s – one-hundredth of a second off Liu’s Olympic record. Richardson won silver in 13.04s, as Parchment surprisingly lifted the bronze with his 13.12s Jamaican national record. Running in the first lane, the fast-starting Clarke gave British fans something to cheer about with his fourth place finish (13.39s), fending off the late race challenge of the 2009 World Champion, Braithwaite. The U.S. Olympic Trials highlighted the fact that the United States’ historical dominance in sprint hurdling. The semis and the finals of the cutthroat Olympic qualifying event saw Jason Richardson run 12.98s twice. Aries Merritt, the 2012 World Indoor Champion, ran 13.01s in the semis. Merritt, who had been in the shadows of his more illustrious competitors for the longest time, stopped the clock at 12.93s. These were Merritt’s and Richardson’s first wind-legal forays below 13 seconds (Merritt ran a wind-aided 12.96s at the Prefontaine Classic this year). I’m particularly happy for Merritt. It’s high time he gets the recognition he deserves. With his performance at the Olympic Trials, he has drawn level with hurdling great Renaldo Nehemiah in the all-time list. Merritt is now the fourth-fastest American in the 110m hurdles, behind David Oliver (12.89s), Dominique Arnold (12.90s), and Allen Johnson (12.91s). As the Olympics draw near, it is great to finally see two of the event’s elite barge into the exclusive sub-13 group. At first, I had qualms about the “no-false” rule in athletics. It’s not that hard to re-start a sprint race, unlike in swimming where the process of climbing up a pool is relatively more cumbersome. 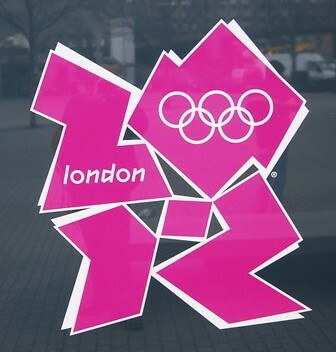 The old rule seems aptly just: the second athlete who false starts gets disqualified. But then again, rules are rules. The implementation of the no-false start policy is marginally better for TV coverage, as it facilitates a quicker turnover of events. But what happens when an official is at fault? When I was watching the Adidas Grand Prix a few weeks back, I was appalled by the quality of the official starters. The pause before the retort of the gun was too long. Naturally, this unsettled the sprinters more – the 110m high hurdlers in particular. The sprint hurdles is a highly technical event that puts emphasis on rhythm. Once you have these consistently long pauses in the start, the hurdlers become unsettled. 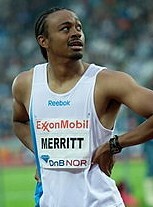 Aries Merritt, the newly-minted American record holder, was shown a red card because of an early twitch in his foot. He was allowed to run under protest, but false-started again (I won’t delve into this running-under-protest issue. I have to do my research first). The third attempt to restart the race was just ugly, with Jamaican Hansle Parchment twitching his foot. By this time, David Oliver was visibly pissed. He shook his head as he made his way back to the starting line. Jason Richardson, the 2011 World Champion, sat down on the track and gave out an exasperated smile. When the race finally got underway, everyone’s rhythm was thrown off equilibrium. Parchment clipped the second hurdle and lost his balance, dropping out of the race. Dwight Thomas crashed into the final barrier and fell flat on the track. Both incidents were scary, from the vantage point of a sprint hurdler. It’s a good thing nothing serious happened to Parchment and Thomas. The Jamaican even managed to finish the race despite his nasty crash. My hat is off to Thomas for doing a Derek Redmond. What was billed as a match up between Merritt, Richardson and Oliver turned into a farce. Richardson won the event in 13.18s, with Jeff Porter (13.26s), the promising Cuban Orlando Ortega (13.35s), and Oliver (13.37s) rounding up the next three.